When people are looking for your real estate services and use online search engines like Google, will they find you? Or does your competition get ranked higher in search results? Part of the answer will be based on the nature of the backlinks that you have to your website. Simply put, "backlinks" are hyperlinks on webpages other than in your own website, that people can click on to be taken to your website. Note the direction of flow. Despite having the word "back" in it, it is not people being brought "back," but rather, it is people being brought "to" you from other places. Search engines such as Google look at backlinks as part of their analytical assessment of the expected value of finding you for their users who are using their search engine. Other factors include how well keywords in a search are matching with the content of your website, as well as code that can be added to your webpages that provide descriptions of your content (called "meta tags"). And when you hear the term SEO ("search engine optimization"), this refers to managing all of these factors in an effort to increase your overall ranking by search engines. What makes backlinks so important, is that your number of backlinks is a strong indicator of how others value what you have to offer. And the assumption is that if many already understand your value, then people who are using search engines will likely want this value too. 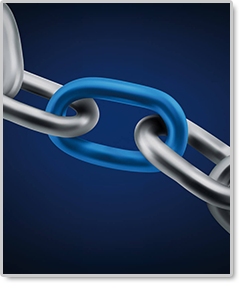 In the early days of the internet, rather than earning backlinks, many engaged in the practice of gathering backlinks from whoever would give them. Many companies even pursued a strategy of "if you give me a link to mine, I will give you a link to yours." But the search engines have gotten wise to this, and now their assessment is not just the quantity of your backlinks, but rather, the important factor is the quality of the backlinks. So what determines the quality of backlinks? In a word, it is "relevancy." Relevancy considers where the backlink is coming from, to where the backlink is going to. For example, if you are a real estate agent or home inspector, and you have backlinks from articles about automotive repair, although these are additional numbers of backlinks, these backlinks won't be considered very relevant to your real estate or home inspection business. A better strategy is pursuing links from webpages that are directly relevant to your business. This why at Applica Solutions when we developed our automated Facebook posting service, we enabled our clients to add their web address to the postings, so that visitors can click and go right to the client's website. And with these clicks coming from postings of home care tips, ideas, and articles, this makes them very good quality backlinks.